Deb Fallows, who (with her husband Jim) is driving the American Futures project (which readers can– and should– follow here), has just posted a fascinating piece on the way that the local food movement, often assumed to be a (privileged) feature of upscale urban life, is taking hold and changing prospects in the rural U.S.– specifically, in a remote desert town with very modest financial resources, and with a long history of the health problems that arise from poor nutrition. 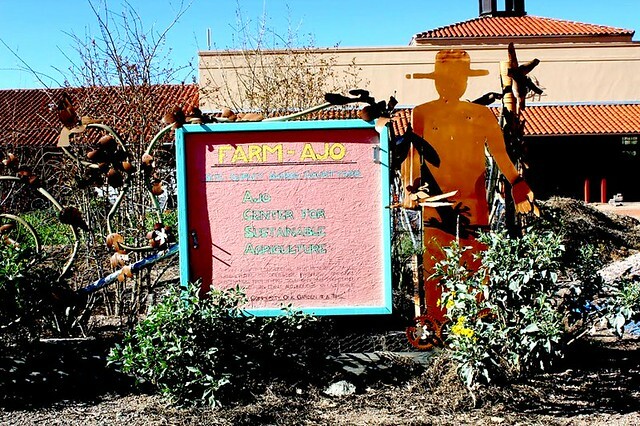 Ajo, Arizona, the small desert community we have visited several times and written about for American Futures, offers something unique: a thriving local agriculture and food movement in the middle of the Sonoran Desert. For starters, conditions are about as challenging as you can imagine: desert temperatures with freezes in the winter and 110 degrees in the summer; poor soil with low organic and microbial content, high alkalinity and caliche (a natural cement); and four inches of rainfall annually, often arriving in downpours.